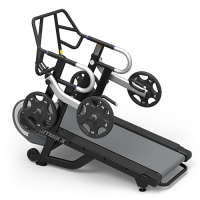 The HIITMill X is a speed and strength training tool designed to build explosive power when used in a High Intensity Interval Training Program. 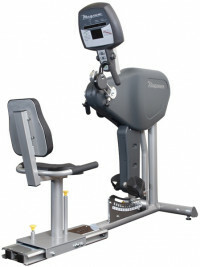 CS4 Cardio Strider - Featuring a Swivel Seat with Motorized Seat Height Adjustments The unique linear path of the CS4 pedals greatly reduce knee stress while still engaging the user's leg muscles and glutes. 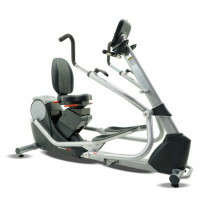 The moving handlebars target the large muscles of the upper body for maximum calorie burn and conditioning. 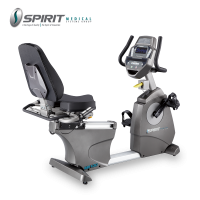 Twelve preset programs with 20 levels of resistance make the CS4 the perfect, full body workout for people of all fitness levels. 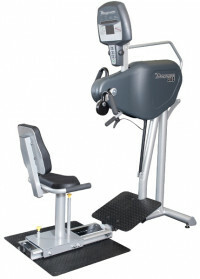 Attain your fitness goals without compromising your joints. Being fit never felt so good! With the side-to-side motion of the TRUE Traverse, users will get a workout like no other — sculpting your core and lower body. The TRUE Traverse provides smooth motion for a better workout in less time. 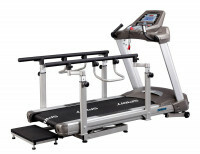 With unique programming features, such as the Cardio 360 workout, users will activate more muscle groups than on other cardio machines. The TRUE Traverse is manufactured with the same high quality and craftsmanship that TRUE has been known for in the fitness industry for over thirty-four years. Experience high-intensity training on the TRUE Traverse. 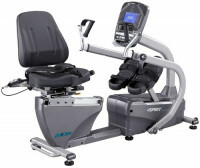 Quiet belt drive with self-tensioning system for no maintenance -No external power is required; battery holds display for 30 seconds after exiting the unit.